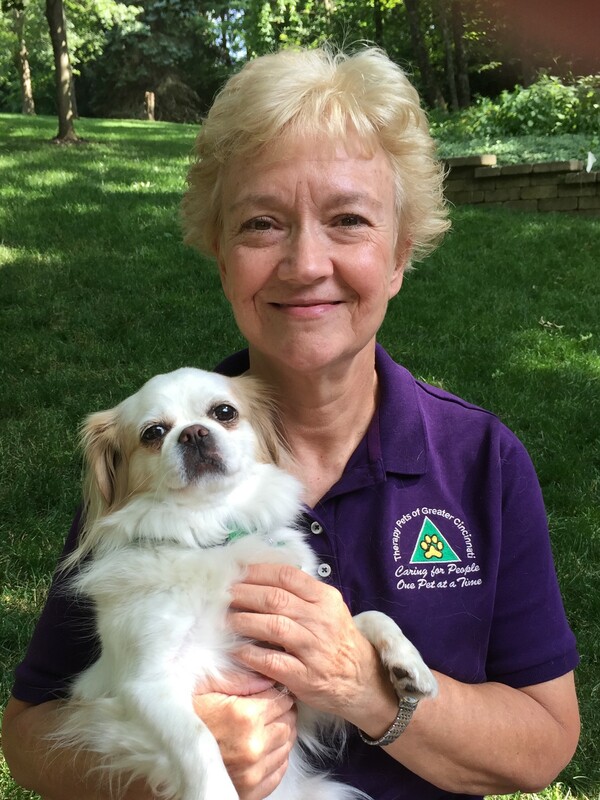 Therapy Pets of Greater Cincinnati is a non-profit organization founded in 2004 as the tri-state resource for the human-animal bond and to validate the important role of animals for people's health and well-being. We have strict guidelines for evaluating volunteer Therapy Animal teams and providing Animal-Assisted Activities and Animal Assisted Therapy services. We train volunteers and screen pets to visit acute, rehabilitation and palliative healthcare facilities, group homes and schools throughout the Greater Cincinnati/Northern Kentucky Metro area. Our current membership of quality teams includes over 200 volunteers and their dogs and other pets. Therapy Pets of Greater Cincinnati values our animals’ safety and welfare as our highest priority while helping our pets to share their unconditional love with others. Client confidentiality, including compliance with HIPAA regulations, is assured. We have been recognized by the Internal Revenue Service as a not-for-profit organization under Section 501(c)(3) since March, 2005, and are further classified as a public charity under Section 170(b)(1)(A)(vi). Donations to our organization may be fully deductible, but please check first with a qualified tax professional. 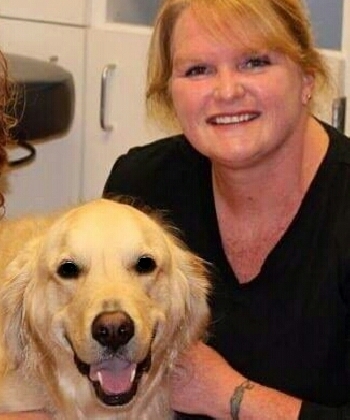 Through our trained Therapy Animal teams, the members of Therapy Pets of Greater Cincinnati are able to provide unconditional love, emotional support, comfort, joy, and a pleasant distraction from the everyday stresses in life by allowing our pets to interact and bond with the people they meet. We strive to make a positive difference in the lives we touch in all the facilities we visit, including health care facilities, retirement communities, and schools, while we educate the community about the significant value of the human-animal bond. 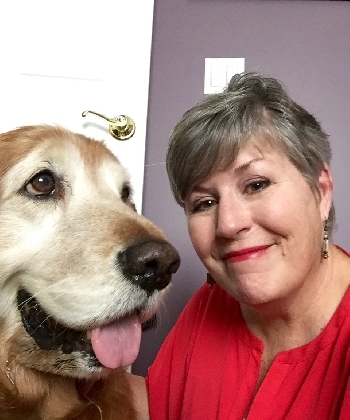 I have been doing therapy work for 27 years, have been a Therapy Team since 2000 with Delta Society which is now Pet Partners, am a Licensed Evaluator since 2004 and a Pet Partner Instructor since 2007, the same year I founded Therapy Pets of Greater Cincinnati. I am also the group Speaker and to the Community. We started in 2004 with a handful of Therapy Teams and have grown to over 200 members since then. In addition, I started the Therapy Dog Program at Shriners Burn Hospital for Children in Cincinnati, and I am the head of the Ronald McDonald House Program. I am also certified with the American Red Cross disaster Relief Team in Cincinnati. My Pet Partners are an active therapy team currently visiting Oncology, Neurology, Pediatrics, and Burn units at all the local hospitals. For the last few years all 5 of my Therapy Pets and myself have been very active working with children with special needs. We go to local schools to help in the class rooms. Our goals are a smile, a word, a laugh, a deep breath, a hand reaching, a trust, a step forward, a sense of self-worth, a walk outside, a small change that makes a big difference. 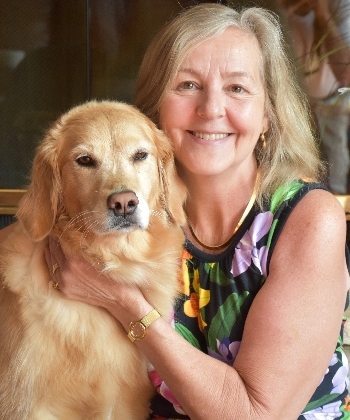 My name is Susan Steinhardt and my pet partner is Bailey, a 7 year old Golden Retriever. We have been members of TPGC since 2014. Bailey and I visit Our Lady of Visitation School weekly for a reading program. We currently have 10 children reading to us. We also visit Kings High School special needs classes on Fridays on a rotating schedule as well as various special events (book fairs, health fairs, exam week stress relief, etc). Prior to belonging to TPGC, I was a member of Pets Helping People for several years, visiting Kenwood Terrace Nursing Home on a weekly basis with my 2 golden retrievers (now deceased) and I also visited Children’s Hospital (main campus) with one of my dogs. My professional background includes 24 years at P&G (most recently as Director of Business Intelligence Services) and 14 years as an Executive Coach working with individuals and corporations. I see several opportunities for TPGC to strengthen engagement with our members and better connect with those organizations seeking Pet Partner visits. I love watching people smile when they see and interact with my animals. I love that studies are beginning to confirm the positive — what we all have experienced — when our animals help people manage stress. 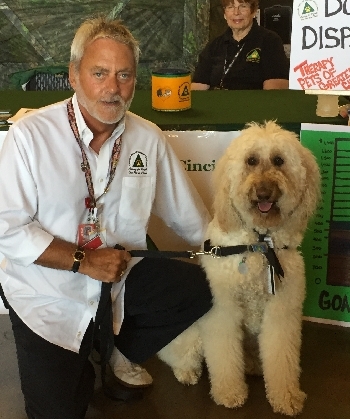 I believe my experience as a handler since 2011, at testings and workshops since May of 2017, and attendance at the Pet Partners Conference in Washington last year give me perspective that will benefit our group as we hope to grow while maintaining high standards. About me generally: My husband is a musician, I work for P&G, and we have three cats and two dogs. I am hopeful one of them will soon be able to register with me as a team. I lost my beloved partner, Joe Cool, a beagle mix in October. As hard as that was, it only solidified my desire to participate in the good work of this group. I have been a member of TPGC since 2005. I have 2 active Pet Partners, Fiona, a 7-year-old Japanese chin/cavalier mix and Chester, an 11-year-old cavalier. Both are rescues from the SPCA, where I also volunteer. Tigger, a 13-year-old sheltie, and Sunni, a 5-year-old mixed breed, are my retired Pet Partners. We regularly visit The Landing of Long Cove assisted living and Alzheimer's patients, the VA Medical Center where we visit patient rooms in addition to supporting the Addiction and Psychiatric groups, Mason Middle School where we visit autistic and disabled kids, and we support the Future Vet events at the Children’s Museum where kids listen to the dogs’ heartbeat and learn to assess their health. We also support various special events including book fairs, health fairs, science fairs, exam week stress relief, nursing home special events and holiday parties, Bethesda North bring your kids to work day, the Veterans Resource Event and presenting to the UC Law Dept. about TPGC. I retired from P&G in 2012 after 33 years in the engineering organization. 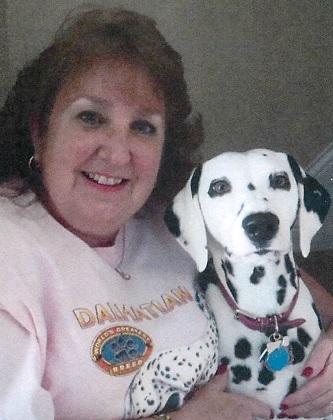 I have been a member of TPGC since 2010: I have had 3 therapy dogs in the 7 years with TPGC. Kepler and Abby, whom I used to visit with at Shriners Hospital, and Luke, is my current pet partner, a 4 year old Golden Retriever. The moment I rescued him as a puppy, I knew that Luke would provide love and blessings to those we visit. Luke loves his job! Luke and I visit Kings High School on a weekly basis and go to other schools several times a month. Bethesda North Hospital, Book Fairs, Health Fairs, Stress Relief for Colleges and High Schools, Special Events, TPGC Testing and TPGC Workshops are all the places we go. Basically, we’ll go anywhere Glenna needs us to fill in. Luke and I enjoy not only our weekly visiting but also interacting with potential new pet partner teams. Luke is the “Neutral Dog” at testing when needed. Luke and I also participate in all of the Pet Partners Workshops. Luke is the testing demonstration dog! We love spreading our story to new teams. Not only does our work benefit those we visit but it continues to brighten our day as well. My name is Deb Newstrand and my husband and I are transplants from Oregon. I work for Kroger and I have been with them for 39 years working in the Workers’ Compensation field. I retired in March 2017 and with my extra time I wanted to become more involved with TPGC. I have been with TPGC since 2013 and this year I took over the task of keeping track of the facilities visited and the hours spent at each location for everyone. It’s been quite an undertaking!!! My dog Tinkerbelle and I visit St. E’s in Florence and Crestview, Villa Springs Retirement Facility and North Key in Covington every week. We also represent TPGC at special events such as speaking to scout troops, exam relief and “Taking Your Child to Work Day” etc. There have also been many times Tink came to work with me at the Corporate Kroger Building downtown. When I was 4 years old I had eye surgery and was in the hospital for quite some time with both eyes bandaged. I vividly remember a dog coming to visit and he would sit with me and my Mom so I could pet and hug him for the longest time. I waited for his visits and I loved him! I later found out he was a black and white bulldog. The older I got the more I wanted my memory to become a reality for other children which is the reason behind my passion for TPGC. I have been a member of TPGC since 2014. I became involved when I adopted a senior rescue Golden Retriever from GRRAND. 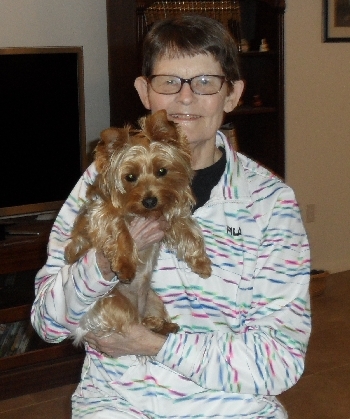 Maggie loved everyone and everyone loved her, so she clearly told me, at age 9, that she wanted to do therapy work! After acing the evaluation, we went to high schools to interact with special needs students, to library reading programs, to nursing homes and rehab centers, and our favorite...Reading With Maggie at a local elementary schools, every Friday! She was a wonderful therapy dog, always making people smile with her sweet sugar face. Sadly, she crossed the bridge after being diagnosed with osteosarcoma on August 7, 2017. I remain a member of TPGC as an ambassador, but look forward to finding a new therapy dog to work with in the future! 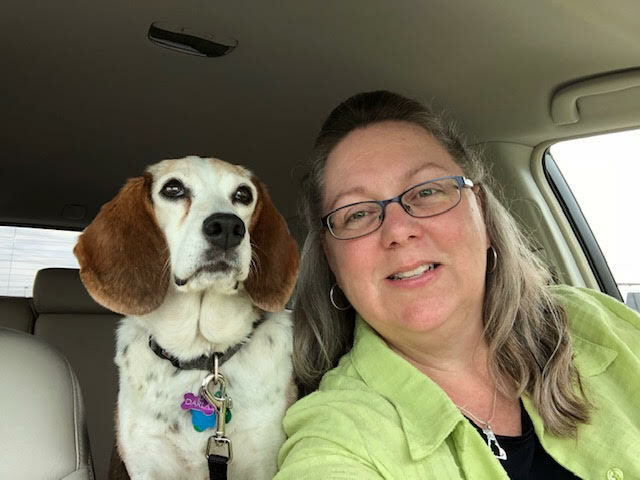 I continue to help with testings and workshops, and want to help TPGC continue as the premier therapy pet organization in Greater Cincinnati/N. KY! My golden doodle, Brutus, and I just passed our third two-year evaluation, so we are now in our fifth year as a therapy team. Brutus and I make four visits each week. We visit Tri-Health Arrowsprings medical center. We visit two schools each week in Lebanon, the high school and an elementary school. In both cases we work with special needs children. Finally we visit Otterbein Retirement Center each week where we visit patients in the TCU unit, as well as Alzheimer’s patients in Matthews Hall. Brutus is seven years old now, and I hope we can continue doing our therapy work for many years to come. Our therapy visits are the most fun and rewarding volunteer work I have ever been involved with. I am a retired advertising executive, and as a trustee at TPGC I designed and produced our full color TPGC brochure. I worked for Kroger for 18 years where I was in charge of advertising and community relations. I left Kroger in 1993 and started my own advertising agency, JA&G advertising, where I was CEO, for sixteen years. I have experience serving on several boards, including Crayons to Computers, a free store for teachers in Cincinnati. I have been on the board at Crayons for twelve years, and was chairman of the board for three years.